Mabel Domingo (Kris Aquino), the owner of a high-class, but creepy, antique shop, only wants herself and her mother to move on from the tragic past of losing her sister as she carries the guilt of causing her death. 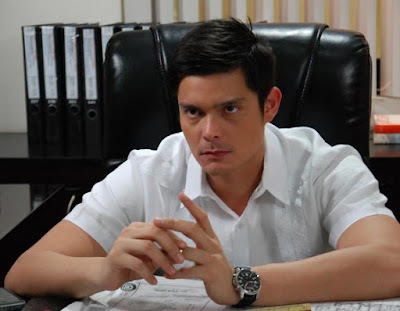 She meets Ivan Galvez (Dingdong Dantes), a rich and successful architect who only wants to find the perfect wife and mother for his young daughter Angel to finally have a complete and happy family after his ex-wife left for him for another man. Since Ivan's proposal, Mabel is haunted by an unknown ghost who seems to endanger everyone around her. As the terror escalates, she discovers an unexpected twist that will test her love for Ivan. Being a Horror-fanatic, Segunda Mano is a big disappointment for me! Well, this hugely staged and produced film by Star Cinema and Kris' and Dingdong's Film Outfit unfortunately added itself to the roaster of disappointments especially in the Pinoy Horror Genre. After a not-so-good reviews on "Dalaw", here comes another film of Kris that gets even worst every year. Indeed, nothing can beat those "Feng Shui" and "Sukob" days. At first, I am having a little doubt on Director Joyce Bernal applying her craft on a horror one. Well, my doubt was right. 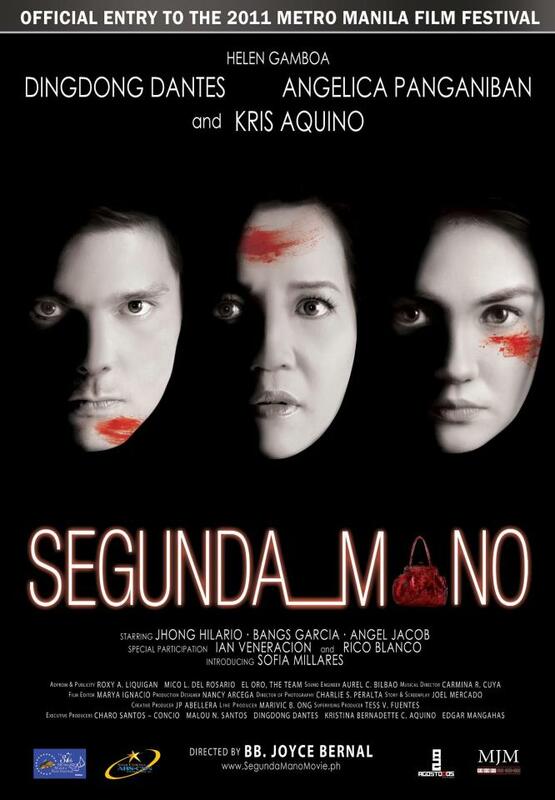 With a shallow plot but good twists, Segunda Mano is an overrated film that leads nowhere. I think the Major Problem of the film is that it lacks impact and scare factor compared to other Kris' films. The movie can be a lot a better than it is. The scare scenes didn't work out for me. The movie was partly boring and blank most of the time. Direk Joyce Bernal didn't play with every scene and it felt like it was just what you see is what you get technique. I mean, in a Horror film, the director must focus in every detail and factor that would send shivers down your spine. The reason also why it did not look scarier that it should be is the Editing. Although, cinematography and film texture is undeniably good, the editing especially during the appearance of the ghost in every scene is an EPIC FAIL. They should have studied well Editing techniques in a Horror film since this is very vital in general. Plot-wise, Segunda Mano is averagely-crafted. The reason why its average because it's kinda bloated at some point. Like, the "bag" thing started in nearly the 45-minute length. Some scenes could have been shorter and more haunting and scare scenes should have been added. The Climax, however, was good and full of suspense. I just had a little problem with the progression of the scenes from the first. The strength of Segunda Mano lies in its Cinematography and Casts. Cinematography in a sense that I love the film's texture, sound effects and arrangements. The Editing of the ghost during scare scenes was just the problem. The Casting was also great and talented. I see a bigger improvement with Kris Aquino's acting. Dingdong Dante, on the otherhand, did a great portrayal as Kris' partner. He is just as charming as ever. Jhong Hilario and Helen Gamboa have both given a fair performance. The biggest surprise and the one that saved the film (for me) was Bangs Garcia. She was such a revelation in this film. I so love her portrayal and humor in the film. Generally, Segunda Mano could have been better and scarier. Bnags should be nominated as a supporting actress, di dapat kay angelica, although di pa natin alam hus d nominees..Bangs played it well. She really saved the film.Bb. Joyce is only for kilig film.suicidal ang ginawa niya for Segunda Mano.